Certified to 18001 OHSAS, ISO 9001 and an IRATA Company Member means Quality work completed safely and on time. 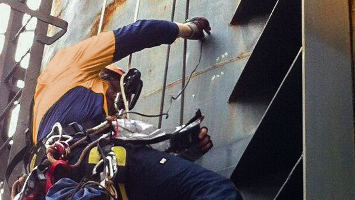 Reliable Rope Access services for maintenance, repairs, inspections and NDT. Certified to 18001 OHSAS and operating under an ISO 9001 Quality management system means you receive a a safe, efficient and quality service. Bells offer a full range of high rise building and structural maintenance, from window cleaning to structural repairs using trained and qualified, multi-skilled rope access technicians. 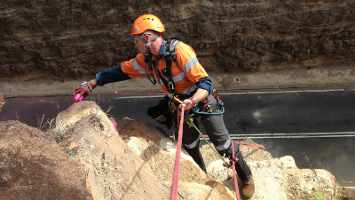 Bells utilises industrial rope access and abseiling techniques to reach areas that would have otherwise been inaccessible or cost-prohibitive. We offer a range of specialist services. 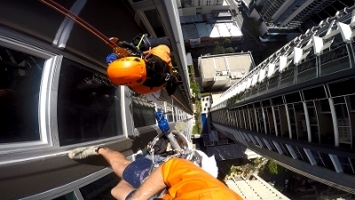 Bells offer a full range of high-rise building and structural rectification and repair using qualified tradesmen, builders, engineers and rope access technicians. Our Rope Access experience and capabilities allow us to deliver competitive pricing ensuring you’re getting the best value service. Our Rope Access technicians are internationally trained and highly vetted rope access technicians. Their experience spans multiple industry disciplines from around the world, including qualified tradesmen and engineers.